The village of Saint-Louis-de-Kent was founded by Joseph Babineau in 1797 and is situated in south-eastern New Brunswick along the Acadian Coastal Drive. Often shortened to simply Saint-Louis, the village is situated on the Kouchibouguacis River at the main entrance to Kouchibouguac National Park. The village is and is considered the “Cradle of the Acadian Flag”. The “Cradle of the Acadian flag” is located at the site of the first church in Saint-Louis-de-Kent and the first presbytery, at the corner of Principale Street (Route 134) and Côté Nord Road. It consists of manicured grounds with monuments. The heritage value of this site resides in its ties with Msgr. Marcel-François Richard and Acadia as a whole. Msgr. Richard, who is recognized as the greatest Acadian nationalist of the 19th century and a defender of Acadian rights, played an important role in the preservation and growth of the French language and Acadian culture throughout Acadia. Born in the parish of Saint-Louis-de-Kent in 1847 (died in 1915), he attended the village school before leaving for a few years to further his studies. 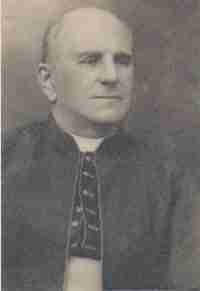 In 1870, he returned to his native parish as curate, and the following year he became parish priest. He oversaw the construction of fourteen churches, two convents, three presbyteries, one monastery, and about fifty schools. It was here that he was living when he participated in the Acadian National Conventions. At the first Acadian National Convention in Memramcook in 1881, he proposed August 15 as National Acadian Day. At the second Acadian National Convention in Miscouche in 1884, he proposed the Acadian flag as it is currently known. Msgr. Richard asked Marie Babineau, a lady from the parish of Saint-Louis-de-Kent, to make that first Acadian flag. At the same convention, Msgr. Richard proposed Ave Maris Stella as the Acadian national anthem. In September 2005, Msgr. Richard was designated a national historic person. 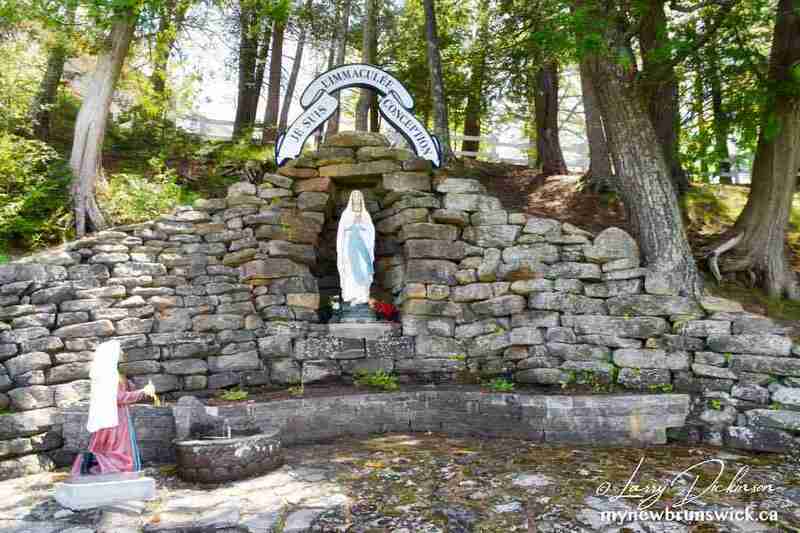 The Grotto and Calvary is a place of pilgrimage and of assembly located in the heart of the Village of Saint-Louis-de-Kent, on the hillside on the south bank of the Kouchibouguacis River. Since 1878 and 1882 respectively, the Grotto and the Calvary have served as a place of pilgrimage to the Virgin Mary, patron saint of the Acadians. Each year, on occasions such as Corpus Christi in June, the Feast of St. Anne on July 26, and the Feast of the Assumption on August 15, a procession or a mass is held near the Grotto. There is an arrangement of monuments, original statues, and stone walls. This location was chosen for the raising of the Acadian flag during the first Acadian World Congress in 1994. Other historic attractions include the Former Railway Station built around 1885. The building served as the railway station for Saint-Louis-de-Kent from 1885 to 1900. During this period, Kent Northern Railway linked the village to Richibucto. Many of the building’s original indoor and outdoor features have been kept.